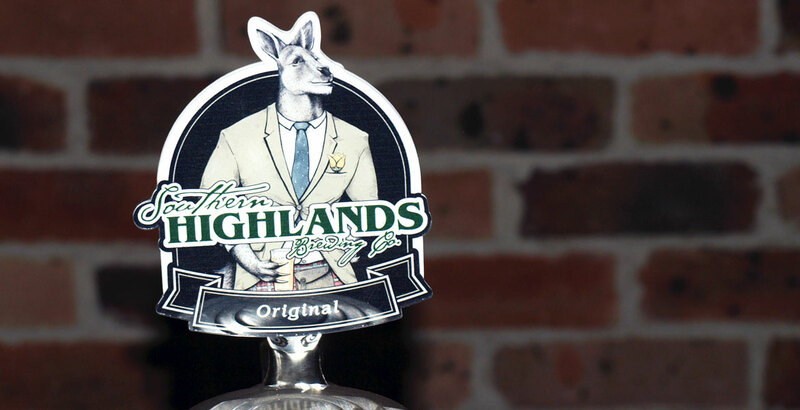 With a craft beer scene that is close to nonexistent and a local population amongst the oldest, if not the oldest, in the country, the Southern Highlands doesn’t stand out as a place you’d want to set up a brewery. Yet that's where you'll find one of the youngest in Australia – one that’s thriving even before it’s had a chance to properly launch. 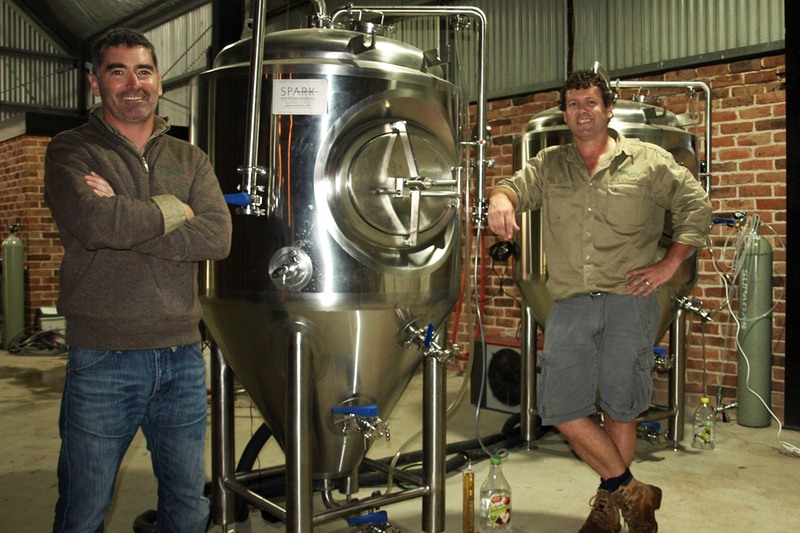 Cameron James and Ben Twomey have opened Southern Highlands Brewing Co in a barn in Sutton Forest, more than 100 kilometres southwest of Sydney, and are proving that the thirst for locally made beer is seemingly latent everywhere and in everyone. That’s taken James, the head brewer, by surprise as much as anyone. “I was really shocked at how supportive locals have been," he says. "We have one of the highest percentages of retirees in the country – there really are a lot of retirement villages here. It’s a really nice place, quiet and comfortable, but we haven’t got the biggest beer market to tout our wares to. What began only a few months ago with a 200 litre Braumeister and 1,000 litres worth of fermentation space has been upped to a new 500 litre brewhouse and two additional 500 litre fermenters. Getting the green light for Southern Highlands to start selling beer, which was officially granted in May, is the culmination of much persistence and determination on the part of its founders. “The layers of government it took to get a brewery in a barn was pretty outrageous,” says James. The beer they’re making from the off is, strictly speaking, a bit left of centre. But not too far. Says James: “We don’t have anything that fits into the BJCP guidelines [globally recognised style guidelines against which homebrewing competitions are judged], except maybe the American Pale Ale, which was the first beer we made. “Naked Harvest is our sort-of Australian blonde ale which is just an easy drinking beer with low bitterness, low hops and a fair whack of wheat in it. Then we’ve got a Celtic Ale. It’s not Scottish, not Irish and not English but we’ve pinched bits from each, like the colour of an Irish red and hops from Kent, put it all together and called it a Celtic. It’s a bit of a combination. “And we’ve recently been given approval to use the name Bong Bong for a beer. Bong Bong is quite a famous horse race in the area. It was held for years before it got called off because there was so much alcohol and violence – people came from everywhere just to get slaughtered and run amok. But the council is back on board, they’ve tidied it up and the only beer you can get there is mid-strength, so we’ve got the Bong Bong Picnic Ale. But if James’ quick list of keen customers is any sort of guide the scene seems ripe for the taking. For now the brewery, which is on land belonging to Twomey, doesn’t have a cellar door and doesn’t package its beer, though solutions to both have and are being considered. “We’ll look to have our own venue”, says James. In other canned plans, SHBC is keen on employing the services of a mobile canning unit, one of which is set to be launched in New South Wales in the coming months, allowing them to supply the independent retailers in nearby towns that have, like many others, already shown interest. Although everything is new, exciting and promising, they’re keeping their feet on the ground and have self imposed limits on what they commit to from the outset. That they’re able to take time to grow slowly and pick and choose their opportunities is a luxury afforded them thanks to the business having been funded independently. “Like a lot of home brewers, you start to make some decent beer and friends say, 'I’d actually buy this', so I always thought this would be cool to do," says James, "but it costs a pile of money. While the two still work other jobs full time – James is a labourer turned hydrographer turned high pressure gas testing specialist turned IT manager, and Twomey an entrepreneur – the way things have started you can’t help but feel a full time career in beer might not be too far away. You can track developments at Southern Highlands via its Facebook page. 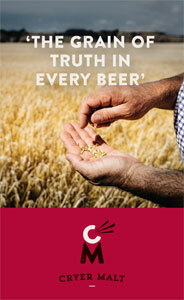 Who Brews Australia's Highest Beers?